Our mission is to empower and educate women, girls, and gender non-conforming students to ignite their curiosity, unlock their potential, and be the change they want to see in the world. We believe that education is the key to a successful, equitable, and progressive society. The more we know, the more problems we can solve and the better we can solve them! We teach our students how to ask questions, think critically, and use technology as a tool to explore, solve problems, and create better systems. We provide resources and activities for students of all ages and for formal educators in STEAM (Science-Technology-Engineering-Art-Mathematics) subjects that integrate with the Next Generation Science Standards (NGSS). Our projects help folks with disabilities build custom and easier-to-use interfaces for their computers, provide teachers with critical knowledge to bring technology into their classrooms, and are used by parents to build and bond with their children. Our project-based lessons engage and inspire students to develop diverse skills, knowledge, and ways of thinking. Our students develop meaning and connection with learning and making, driving their education in the way that they learn best. Our students demonstrate tangible skills and depth of understanding by applying learned concepts to new situations. We are passionate about education because it enables each person to be a problem solver and change maker in our own lives and in our communities. The greatest work we do will be through you, our students. Fox’s research contributions in physics are published in multiple journals, including Astroparticle Physics, the Journal of Instrumentation, and Nuclear Instruments and Methods in Physics Research. Fox’s engineering expertise includes renewable energy technology, electronics, and data science. 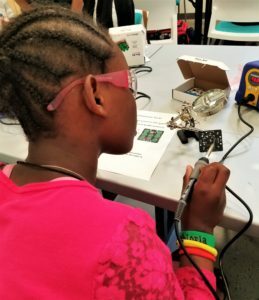 She has taught STEAM subjects to thousands of students in every setting imaginable, from week-long maker camps for kids to university physics courses at UCLA. Fox’s work through FoxBot Industries has been featured by the Raspberry Pi Foundation, SparkFun Electronics, Adafruit Industries, Make: Media, Living Computers: Museum + Labs, Instructables, HackaDay, IEEE, and the Pacific Science Center. 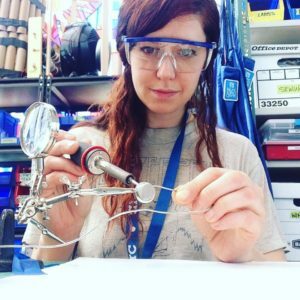 Heather Johnston-Robinson is a vibrant, accessible maker-educator for Foxbot Industries and MyOpen3D driven to help people of all ages find and foster their spark of ingenuity. She has a Masters in Education and has worked as a high school and college level educator since 2004. 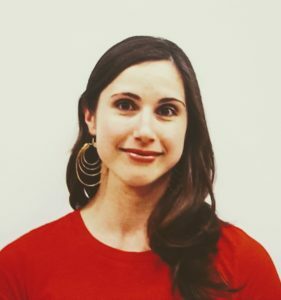 She’s also taught after school LEGO robotics in South Seattle public elementary schools and worked with the Bush School librarians to organize their Lower School Maker Night. As a kid, Heather was lead to believe she couldn’t understand math, and the discovery, as an adult, that she could not only “get,” but come to love the subject is a major inspiration for her visual, kinesthetic approach. She’s particularly interested in merging her passion for comics with her mission to create portals into STEM for the frustrated and discouraged.